Social media sites can be more useful than just keeping up with friends, knowing what is going on in the news, or what gossip is trending for celebrities. Sites such as Twitter can add value to a company that seeks to increase traffic to its web pages or wants to make an effort to advance its online marketing. The platform of Twitter can reach many different groups of people, so you have to decide what your target audience is for marketing to make contact with the right kind of potential customers. You also need to develop the sort of online persona that appeals to customers that would use Twitter. The number of followers on a company’s Twitter page does not correlate with the amount of retweets or web site visits. It’s important to connect with those who will retweet or spread links to increase traffic. The more active the Twitter page and its connection with followers, the greater the chance that customers will spread the company’s name elsewhere. Twitter can connect with customers, employees, investors, and marketing partners. The platform can help with public relations and encourage other sites to link back to your company’s main website for SEO purposes. Tweets should be diverse, but follow a theme that relates to your audience. Associating a Twitter page with another social media platform, like Facebook or YouTube, can get more people interested and willing to retweet your posts. Use hashtags properly to create categories for tweets, which can be used as keywords when users are searching for tweets and topics of interest. Obviously, Twitter can enable your company to connect with potential new customers online. If you acknowledge satisfied customers, that will most likely encourage other customers to tweet about the company in the future, which is another way to promote the brand. Dissatisfied customers may also use Twitter. When that happens, if you’re swift to rectify the problem publicly, your customer service image will climb, in a very public way. It may also stop the formerly dissatisfied customer from boycotting the product. Twitter can readily help you monitor the company, brand, and product names. In addition, following competitors and people that post about competitors can help your company gain insight into the industry and the business. Taking the time to observe competitors and how they manage their Twitter profiles can be useful for creating a business plan in the same market. 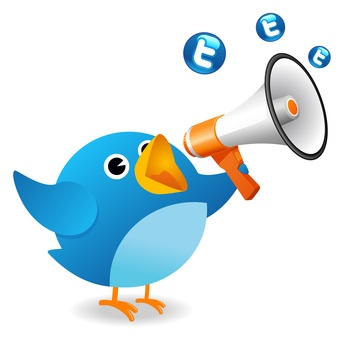 Share your comment 1 responseTO How to Use Twitter to Increase Your Company’s Exposure. To wrap this up, you can maximize your Twitter exposure if you will provide your real name besides your Twitter username, write interesting 160-characters Twitter bio, include links to your posts and use light color background so that your information is readable. You must also increase for followers, well, that is necessary. 🙂 Most especially, is sharing valuable information in your tweets through links to news articles, other people’s blog posts, etc. That your followers might find interesting.